Enter a magical, playful world of glowing, sparkling colours. 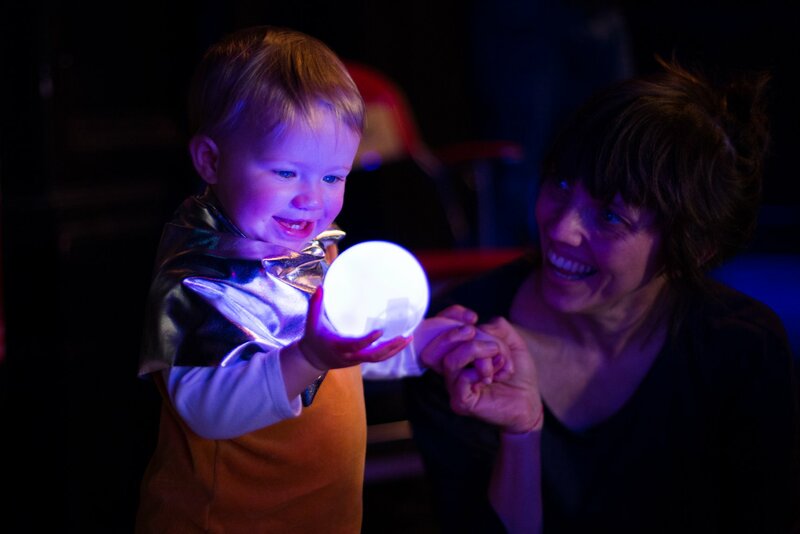 'Kaleidoscope' is an amazing new experience of light, sound and movement designed especially for babies (aged 6-18 months). "Our little one loved it! Mesmerised by the lights and thought the performers were hilarious"
NB: Tickets are £5 for *up to 2 people*. Please buy the combination you need for everyone you want to bring!